Cats are known to live for a long time – their age can vary between 10 to 20 years. Sadly, the older they get, the less likely it is that they will be adopted. 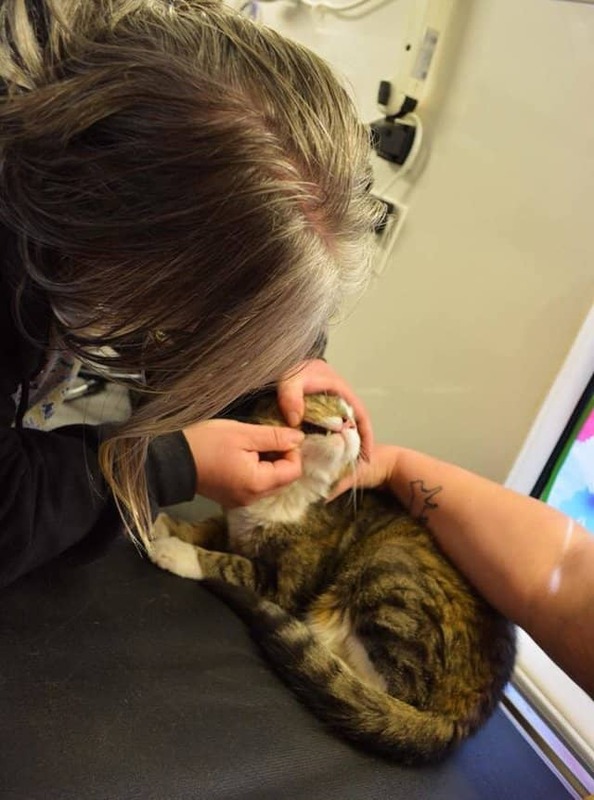 But when Laura Cassiday saw that there was a 26-year-old cat at her local rescue, she decided immediately that he had to be hers. It’s well known that the older animals at the rescue shelters are the ones who are often left behind. People simply want babies to cuddle and watch grow up, so the older animals are pushed aside. 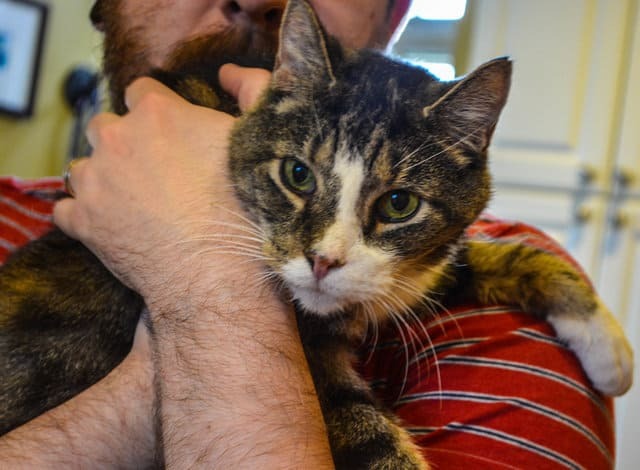 So things didn’t look good for 26-year-old Thomas when he was surrendered to the animal shelter. 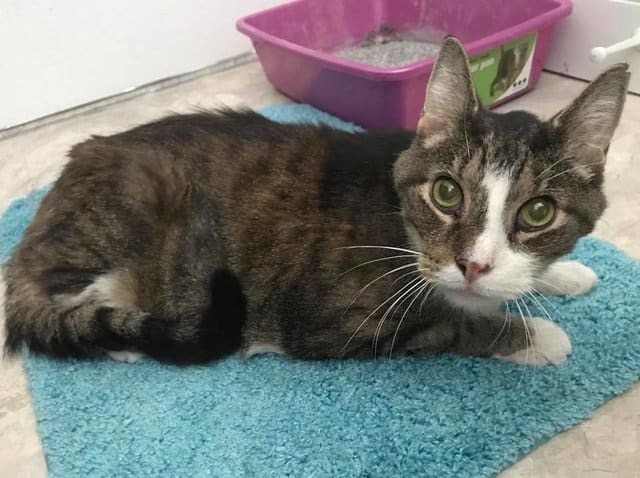 Thomas’ owner had become sick and could no longer take care of him, so when he arrived at the Baltimore County Animal Services, they started looking for a rescue to take him. Because he was 26-years-old, he was deemed too much to handle. Not many people would be willing to take on a pet that old due to the impending medical challenges and minimal years of life left. 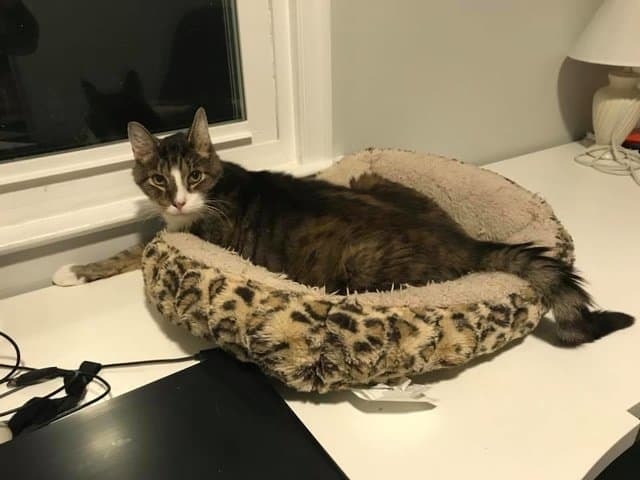 The shelter didn’t expect anybody to be interested in ageing Thomas but they began posting about him regardless. Much to their surprise, somebody was interested. Laura Cassiday saw a post about Thomas and was immediately captivated. Like most people, she was astounded that he had live to such a ripe-old age. Thomas was actually the same age as her! She knew that Thomas would have a hard time getting adopted, so she knew exactly what she had to do. I was scrolling through my news feed and read ‘26’ and stopped in my tracks. I had never even heard of a cat that old. It was a snap decision; I commented that they could stop looking and I’d take him, and we called the shelter to say AARF would pull him. I picked him up the next morning. 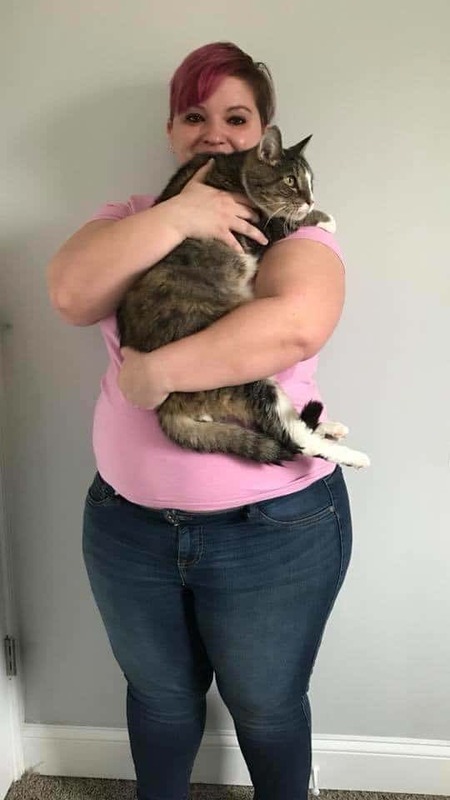 Laura was a regular foster mom to cats through the Animal Allies Rescue Foundation (AARF), but for Thomas, she decided to take him straight home with her. She knew that he would struggle to be formally adopted, so she didn’t want him to have to wait for a home in the time he had left. Deciding to be his ‘fospice’ mom, Laura decided to take care of the 26-year-old cat for the rest of his life. Of course, Thomas did have a several health problems due to his old age. 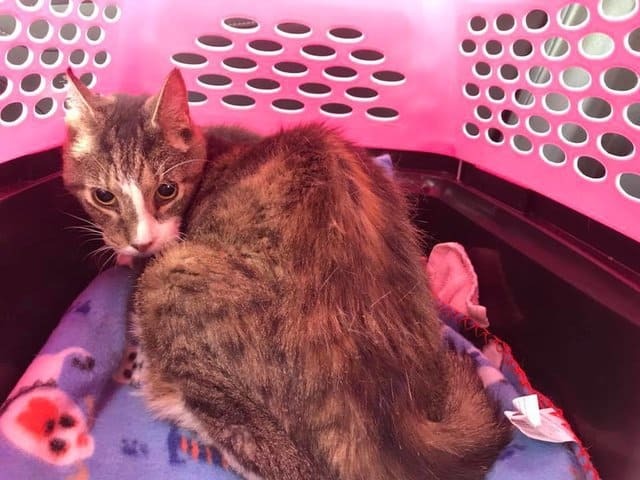 Upon being checked over by a vet, it was discovered he had hyperthyroidism and severe dental disease. Other than that, Thomas is in good health for his age. 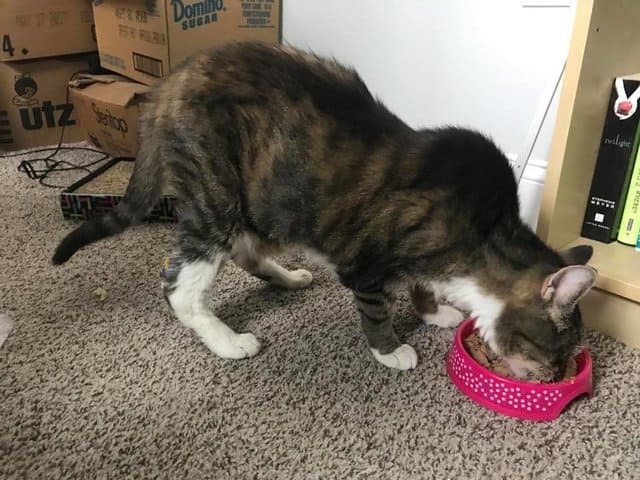 There’s a good chance that Thomas had been in his past home for the entirety of his life, so he is still adjusting to his new environment. After all, if you’d lived in the same place for 26 years, you’d be a little out of sorts when moved to a new place. He is definitely a crotchety old man. He hates the stardom and fame and wants to be left alone. I kind of don’t blame him. His one true love is food. I’m feeding him as much as he wants because I feel like he’s 26 and he deserves it. He does enjoy being petted and will play with toys a tiny bit, but it’s mostly sleeping and eating for this old dude. But Laura is happy to have Thomas in her home and has already fallen in love with the ‘sweet old man’ and his personality. He brings a calming energy to her bustling house of six other cats (four of her own and two foster cats). Young cats are a lot of work. They get into stuff. I waste so much money on toilet paper because Juniper unrolls it all at least once a week. Thomas lays in his bed quietly all day and doesn’t bother anyone. He is the ideal pet. 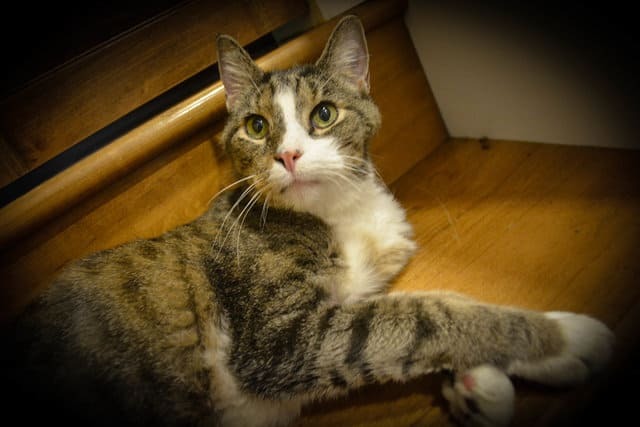 I’m not saying everyone has to go out and adopt a 26-year-old cat, but when you’re looking to adopt, maybe give that 12- or 13-year-old a second glance. They need you way more than a kitten does. 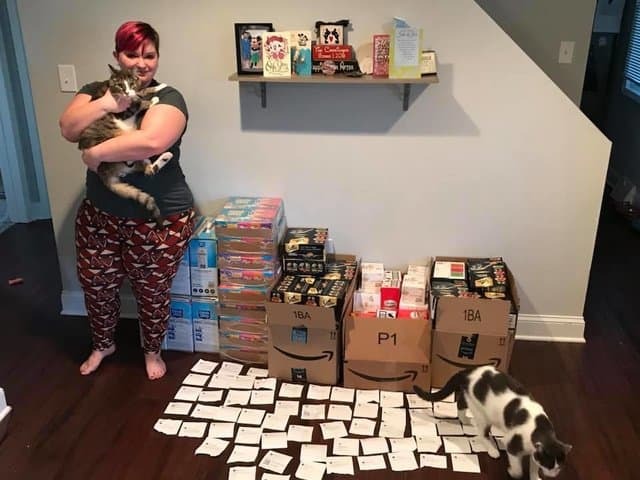 Since adopting Thomas the 26-year-old cat, their story has had a lot of attention and strangers have sent plenty of gifts to support Thomas in his golden years. The family have been completely overwhelmed, but Thomas has remained unfazed. While Laura doesn’t know how much time she will have with Thomas, she is keen to make it the best that it can be. No matter how long their time together is, she is grateful to get to share his golden years with him, and to have saved him from spending the rest of his life in a shelter. He deserves it after all. I feel like an ordinary person caught in an extraordinary moment. In my mind, I did what anyone else should have done. I saw an animal who needed help and knew I had the capacity to help, so I did.